TEMPE, Ariz., Jan. 4, 2018 – Insearch Corp. had an interesting start. The company that began life in the vending machine industry, later changed direction and has achieved success in the world of moving construction material. But, Jim Beito’s first love was the construction industry. He had worked for the same highway heavy construction company for 27 years and it was in his blood. So, a year later, Insearch entered into that industry. 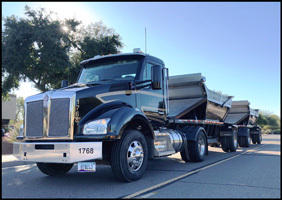 With a cell phone and pickup truck, Beito began orchestrating projects – eventually buying trucks, trailers, back-hoes and crushing equipment. The company became a major player in the Phoenix marketplace. Insearch soon became a family affair. 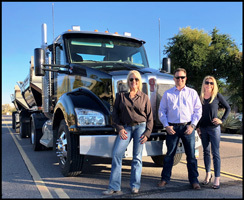 Jim’s son, Chad, started working part-time for the company while still in high school, and daughter, Heather, soon after also joined the company. 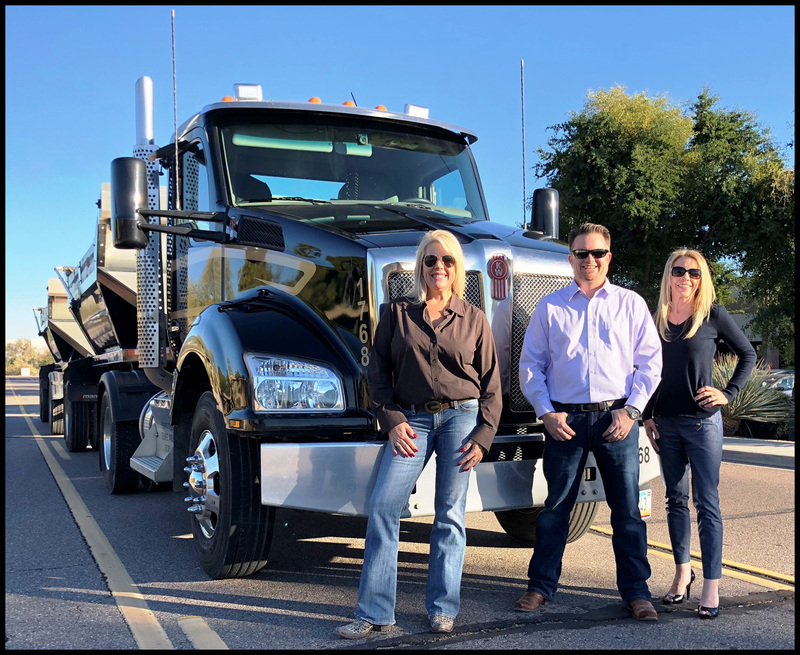 Today, Chad is the president, Heather is the company’s director of sales and marketing, and Chad’s wife, Julia, serves as director of program management. 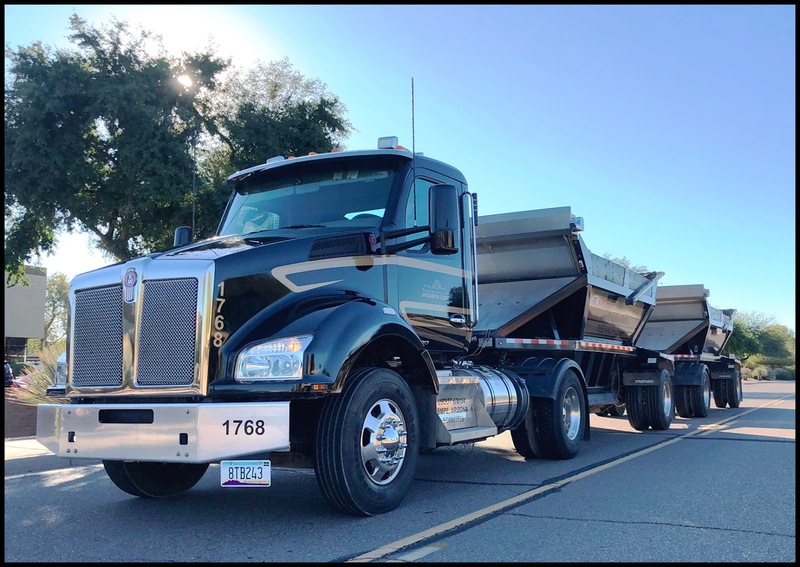 In recent years, Chad Beito has added new equipment, including the Kenworth T880, to augment owner-operators, who also haul for Insearch. Daily you will find upwards of 100 trucks delivering time-sensitive loads for the company, which has been in a growth mode in recent years. A September report by the Associated General Contractors of America showed that 74 percent of Arizona construction companies plan to add workers in the next 12 months. Housing permits in Arizona’s Pima County are at their highest levels since 2008.